Sawdust is the commonest so called rubbish in sawmill, but it is good biomass material. Briquetting is a way to convert loose biomass materials, such as sawdust, straw, and rice husks into high density solid blocks that can be used as efficient fuel. Sawdust is one of the best materials for high pressure briquetting mainly because sawdust contains a high proportion of lignin, which functions as glue when briquetting, and that sawdust doesn’t need to be ground before briquetting. 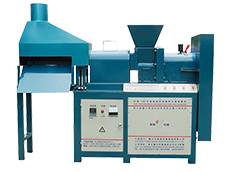 Briquetting machine is also known as briquette making machine. 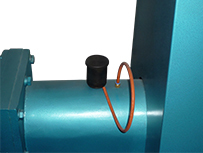 GCBA series briquetting machine is screw type design. 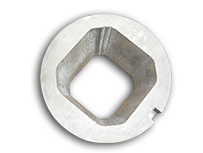 It can be used to make quadrangular or hexagonal cylinder and throughout the boy there is a 15-20mm hole. These briquettes are quite convenient to be stacked and they are more efficient when burning because of the carbonized outer layer and central hole. 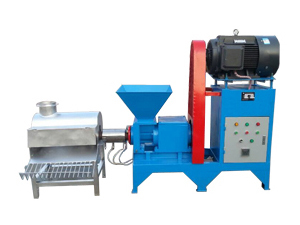 GCBA series briquetting machine equipped with automatic temperature control system is widely applied to extrude biomass or high density wood materials (sawdust, straw, rice husk, etc) into bio-fuel briquettes. The motor of this machine can be 1kw/15kw/18.5kw/22kw-3phase-380v-50hz electrical driven. 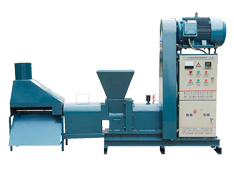 GCBC Series briquette making machine is a kind of high-end briquetting equipment. It is improved in both appearance design and structure design based on 6 years of research and manufacturing experience. Do not need to change Inner Former until input capacity exceed 1000 tons. 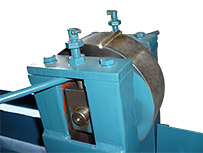 Our machine adopts a durable material (high hardness alloy steel) to make the shaft. 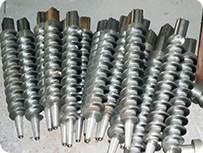 We use a different process then what is normally used to make the screw shaft. The screw shaft is manufactured with a milling machine which guarantees that the distance between every screw is the same, and the angle of every screw is the same. The Inner Former can be used for 1-2 years.The former is made from a whole steel bar through a water jet cutting system so that the inner face is smooth. Therefore, it’ll be easier to form and save energy. This is why the finished produces such as sawdust briquettes are smooth. It consists of two parts and you need to change only the key part when it is worn. Heating section - we adopted two heat collars which are made from thick copper wires and are ceramic inside. An attractive feature on the forming hopper is that we added a movable plate on the bottom. It has two functions, one is you can clean it easily. The other is that you can discharge the inputted material when it is jammed. The gear box is equipped with lubricating system. Moreover, to oil the gear box properly, our briquette machine is designed with an exhaust function which can help maintain consistent air pressure. It’s a simple piece of equipment composed of two steel plates. (Please see the picture), and briquettes can be automatically cut in uniformed lengths. Sawdust briquettes have many advantages. Sawdust briquettes are clean and tidy, and easy to transport and store. They are of high density, and release lasting energy. Besides, conversion of sawdust into combustible biomass briquettes will provide a good way to meet individual energy needs while alleviating landfill use. Moreover, lumber has become a scarce resource in many areas of the world, and there is an urgent need to use sustainable fuels to augment or replace traditional wood fuels or traditional fossil fuels. What’s more, sawdust briquettes are environmentally friendly, and release less poisonous gas or greenhouse gases. Further, their ash after burning can be used as fertilizer. Sawdust briquettes have a wider and wider application in industrial boilers as well as in home heating and cooking. 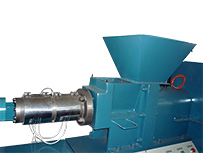 Briquetting sawdust is pretty profitable with good sawdust briquetting machines. 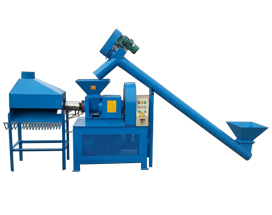 Our sawdust briquetting machines have been exported to many countries and earned good reputations worldwide. If you want to buy the high quality sawdust briquetting machine with reasonable price, we are exactly what you are looking for!